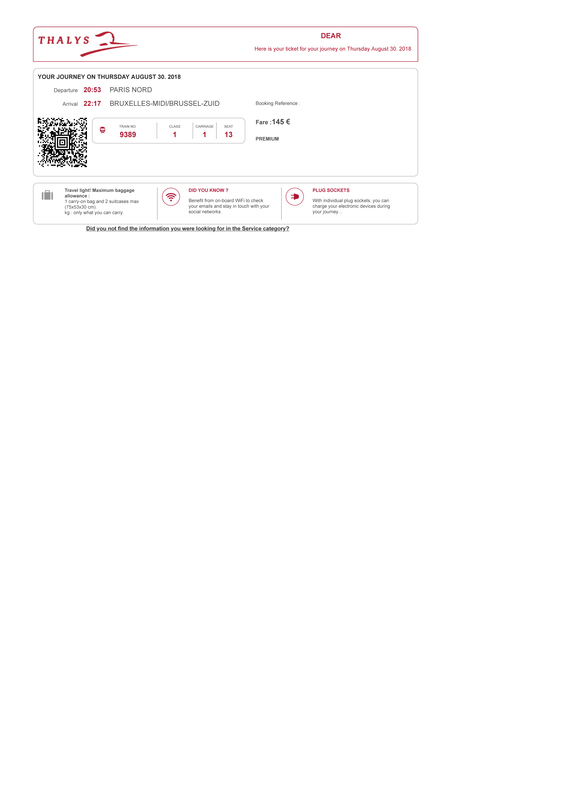 If your tickets are print-at-home, your confirmation email will a PDF version of your tickets attached, as well as instructions for printing them. Showing the PDF on a mobile phone or another device is not usually permitted so we advise you to choose mobile tickets if that's your preference. What does a print-at-home ticket look like? 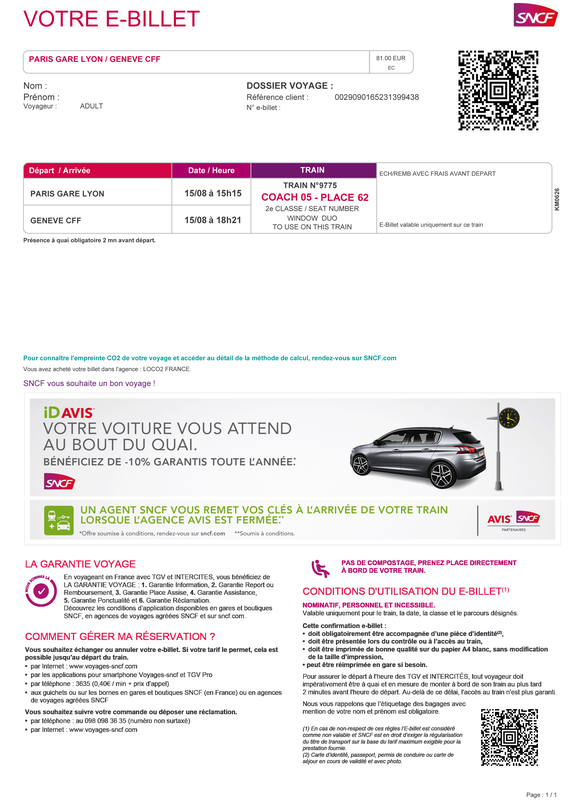 SNCF - Including TGV Lyria and TGV France-Italy. Excluding regional trains. 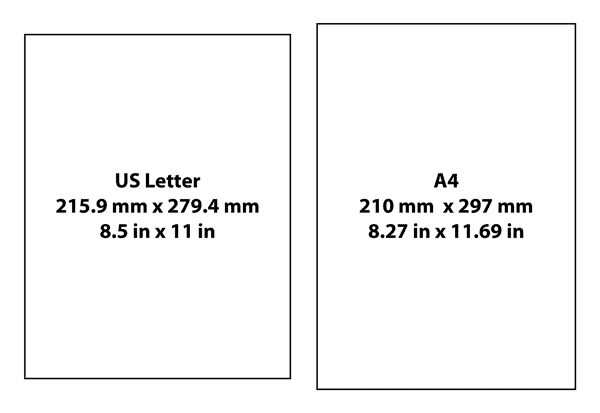 Most print-at-home tickets must be printed (see exceptions below). They cannot be displayed on a laptop, tablet or mobile phone. 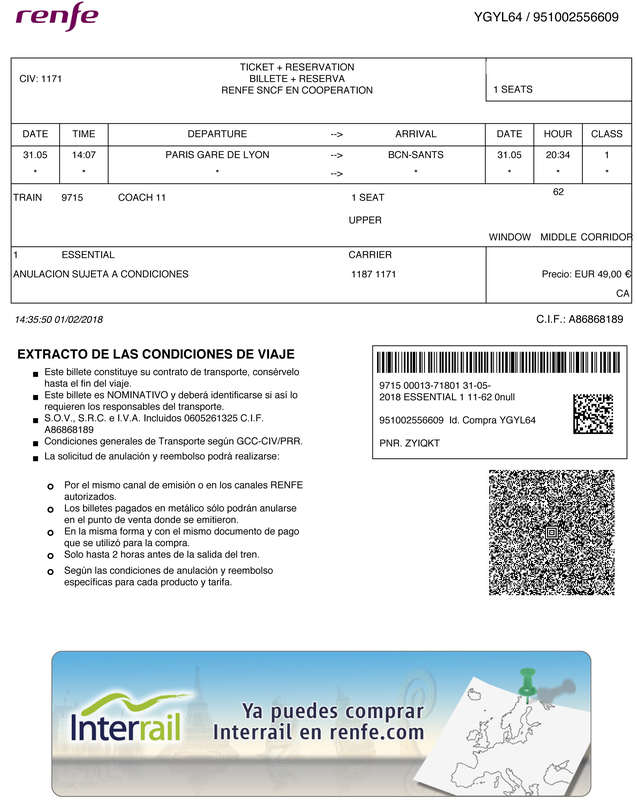 The most important aspect of printing your tickets is that the QR code, or barcode, is clearly displayed. The ticket inspector will scan your tickets, so we advise that you print your tickets on plain A4 or US letter paper. 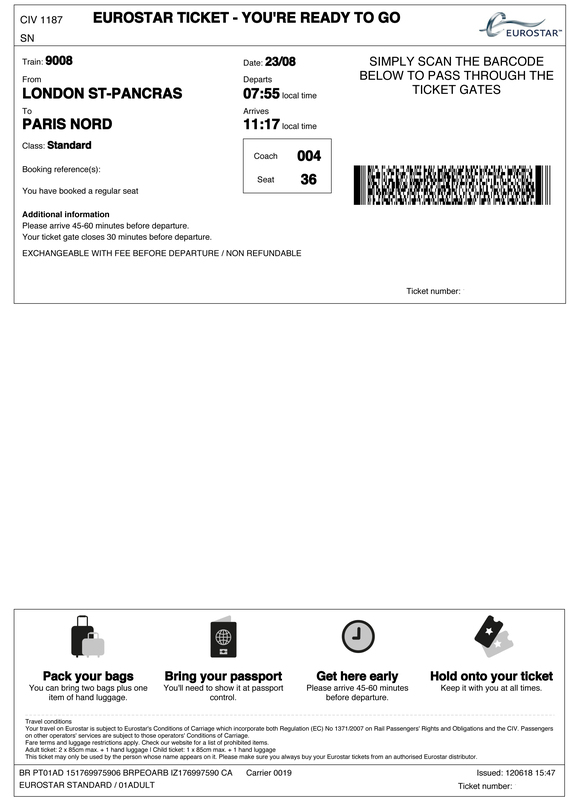 We don't advise printing tickets in economy mode, as this can make the barcode or QR codes unreadable. If you don’t have access to a printer, the best thing to do is print one at an internet cafe for a small fee. Alternatively, you can ask at your hotel or accommodation. 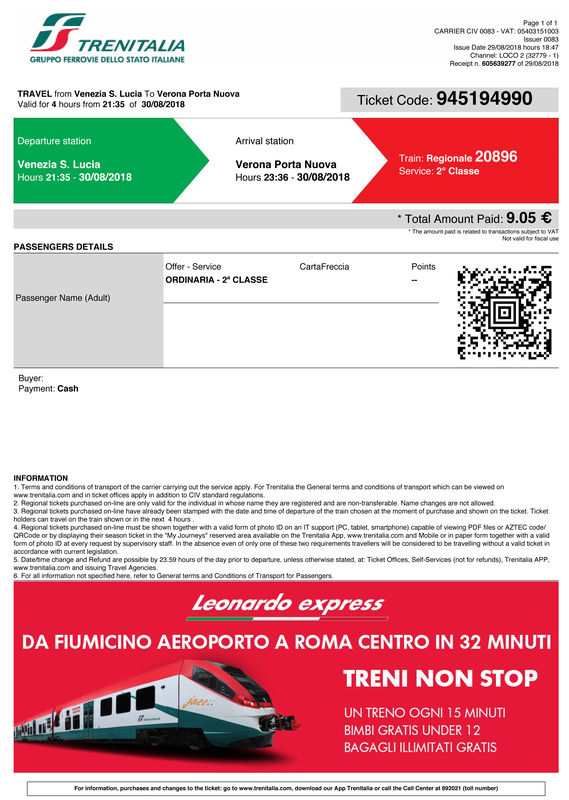 Can I present PDF tickets on a mobile phone? Most print-at-home tickets must be printed and cannot be displayed on a laptop, tablet or mobile phone. However, there are exceptions. The following rail operators permit passengers to present their print-at-home tickets on a suitable mobile device. 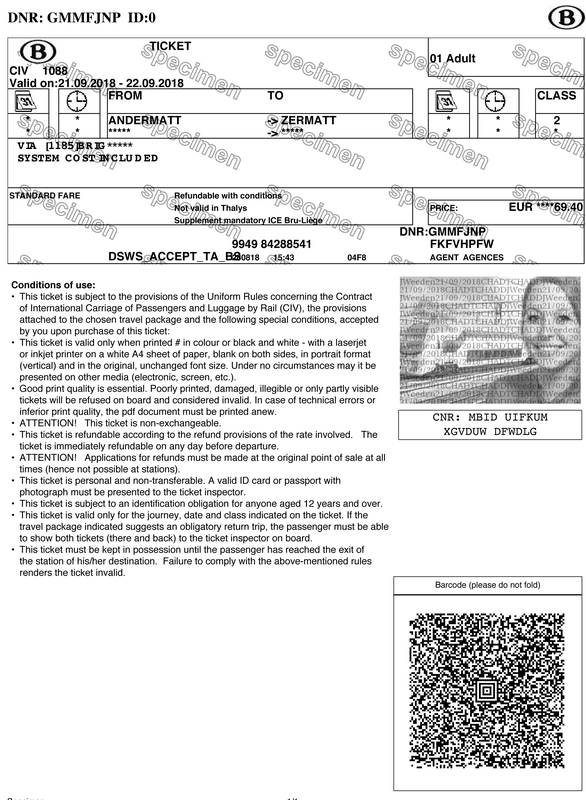 It remains the passenger's responsibility to ensure that the ticket PDF is legible on a mobile device. For instance, the device must have enough battery and not have a broken screen. You may be fined if you are not able to present your ticket on demand. If you're in any doubt, print it out before travel.